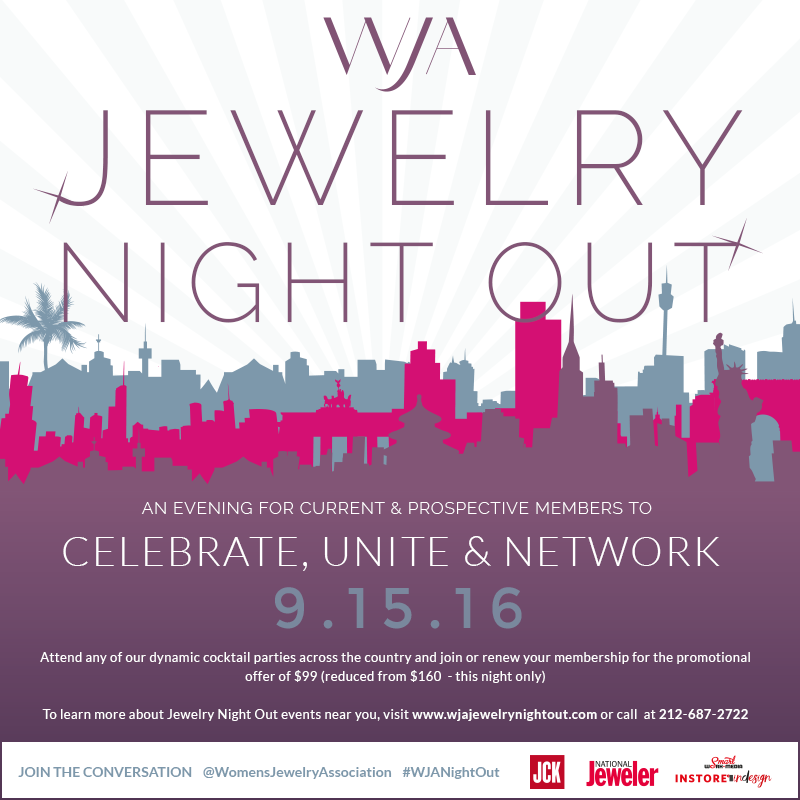 Katey Marotta Brunini will be moderating at WJA’s Jewelry Night Out September 15, 2016. Jewelry Night Out is an annual chapter-wide celebration and membership drive that connects chapters and members everywhere. One night for all WJA members and prospective members to raise a glass and salute our professional and personal connections.